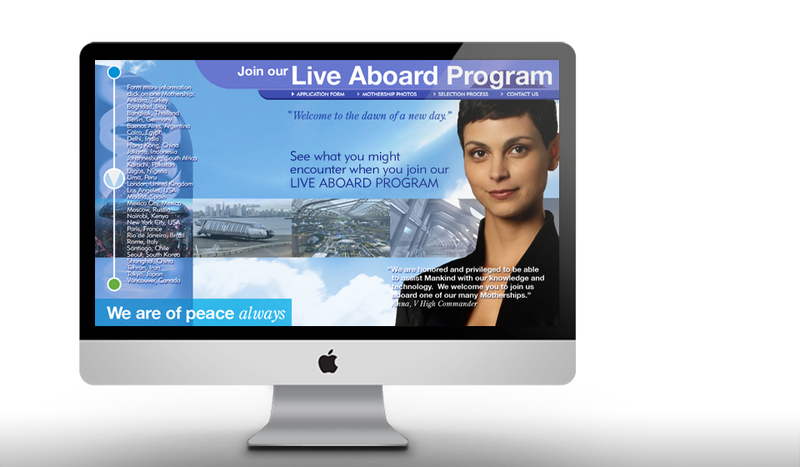 To create a playback sequence as an extension of the “Peace Ambassadors” brand strategy. Using the repetition of elements, such as colour and language, based on prior material, a photoshop website mockup was created for our Playback Department to animate. This final piece of communication for the “Peace Ambassador” enabled them to lure Earthlings onto their spaceship. The website appeared on the ABC television series “V” Season I.